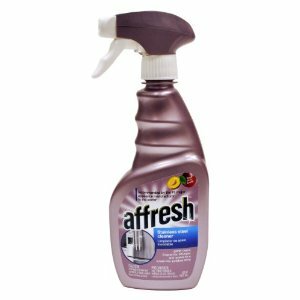 Now last week I told you all about my secret weapon to cleaning my dishwasher and garbage disposal, Affresh dishwasher cleaner. But this week I want to tell you about the other cleaners I use in my kitchen from Affresh. Using their products has cut my cleaning time in half, and I could not be happier about that! In my kitchen my boyfriend and I have a stainless steel refrigerator, and it seems that no matter how many times I wipe it down, clean, or polish it, it just never lasts. Same goes for our smaller appliances around the kitchen. After trying Affresh dishwasher cleaner, I found out that Whirlpool made even more Affresh cleaners, so I had to try them! When I saw that there is a stainless steel cleaner I bought two right away; one for my house and one for my boyfriends’ parents. They have a dog that likes to lick the refrigerator when he wants ice, so this cleaner is perfect. I also picked up the afresh kitchen and appliance cleaner, to clean the small appliances we use daily. When I got home from work, I was very eager to clean my fridge- which is unusual for me! So I got the spray out and I started spraying down the fridge with paper towels in hand. I let it sit for a minute and then wiped it down, and to my amazement my fridge was sparkling! It looked like I had spent hours cleaning it and then polishing it, but it only took me five minutes. I was so happy! The next day at work I went back and bought a container of Affresh Stainless Steel Wipes. I use these whenever I need a really fast clean of the fridge; just wipe it down and you’re all done! This cleaner even got the dog drool off of my boyfriends’ mom’s fridge! When the refrigerator was all clean and I was finished staring at it in awe, I moved on to clean the counters and the appliances that sit on our counters. I sprayed the kitchen and appliance cleaner all over the tops of the counter and my kitchen immediately had a great aroma of citrus from the spray! It was great! The spray worked great, I didn’t need to scrub to make it shine. The spray got the wine stain out of the counter from where the bottle was sitting. It was effortless. I cleaned the outside of our toaster oven, blender, and the inside and outside of our microwave with such ease it no longer felt like a chore. 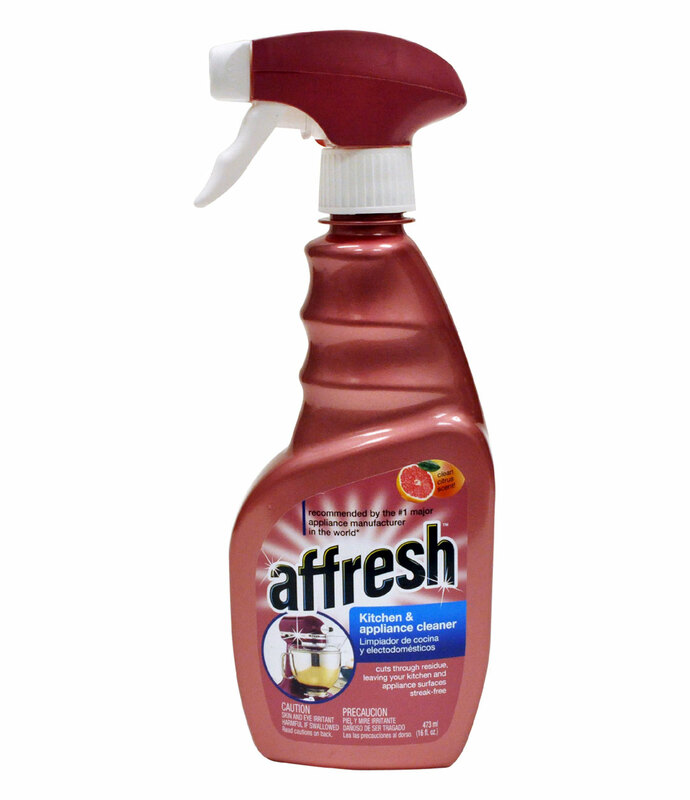 Affresh is great for my kitchen cleaning. It cuts my cleaning time in half and it makes everything look amazing. It’s also such a great price I don’t have to worry about using too much. No more scrubbing for hours for me, just spray and wipe! Happy cleaning everyone! Have you ever pulled open your dishwasher to unload it, only to discover that your glasses have a layer of soap scum and sediment that makes them look dirtier than when you put them in? Have you used your garbage disposal, only to smell the garlic from Monday’s linguini still wafting out of your sink on Friday? It was a long time irritation for me, that no longer how long I scrubbed, I couldn’t remove all of the odors and soap scum from my machine. I finally gave up and did a cursory cleaning every so often and thought that it was impossible to fix the root of the problem. But in my work I talk to appliance service people and salesman all the time. I heard about Affresh Dishwasher and Disposal Cleaner Kit for only $5.99, which allows you to clean your dishwasher once a month, with no bending or scrubbing involved. I decided at that price it couldn’t hurt to try. I followed the instructions and after one application I no longer had to worry about funky odors wafting from my appliances. Plus, I don’t have to spend hours scrubbing trying to remove the soap build-up! My dishwasher and garbage disposal smelled fresh and my glasses actually looked clean when they came out of the dishwasher. 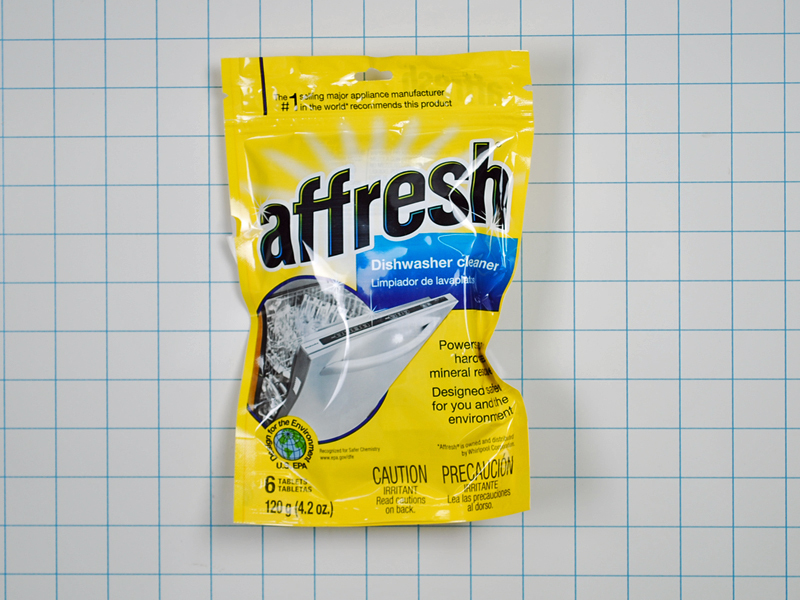 The process is simple, when your dishwasher is empty put one tablet of the Affresh Cleaner in your detergent pouch, run the machine through the hot cycle, and enjoy the compliments on your sparkling stemware! For the Disposal cleaning there are simple instructions to follow and 6 tablets are included in the kit. Penetrating the odor causing bacteria allows your kitchen sink and dishwasher to smell fresh and clean, and allows you to enjoy brilliant dishes. When you take the time to clean your appliance, you prevent mildew growth, a deposit of bacteria, and soap scum that causes streaks on your clean dishes. Taking five minutes once a month will make you enjoy the time in between that much more. I hope you enjoy Affresh Dishwasher and Disposal Cleaner Kit as much as I do!